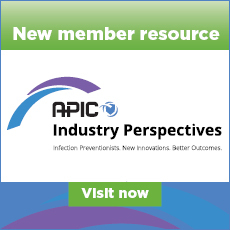 The Association for Professionals in Infection Control & Epidemiology ("APIC") makes no representation or warranty of any kind concerning reliability or accuracy of information provided directly or indirectly on or through careers.apic.org or its related sites. All information is provided on an "as-is" basis. Users of this site do so at their own risk. A portion of the careers.apic.org website provides a service that permits candidates to post their resumes and permits employers to advertise job openings. APIC does not screen, edit, modify or censor the employer listings or the candidate resumes for direct online postings. APIC may screen, edit, modify and censor ads appearing in print. However, after the job or resume is posted, APIC reserves the right to remove for any reason. APIC has no control over the actual hiring discussions or other aspects of any transaction between employers and candidates. Accordingly, APIC makes no representation regarding, and has no liability arising from, the safety, legality, longevity, quality or environment of jobs offered, the actions of any employers in the interview and decision-making process (including, without limitation, inappropriate comments, harassment, discrimination, physical violence, or any other illegal activity). Nor does APIC review or endorse any part of the resumes posted, the truth or accuracy of any employment listings, the ability of employers to offer opportunities described in their listings or the ability of candidates to fill such opportunities. No endorsement or warranty is made by APIC with respect to any content posted by employers or candidates. APIC is not responsible for the accuracy, timeliness, completeness and removal by a company of any employment information or opportunities that are placed by said company or of any resume information posted by a candidate, on the careers.apic.org web site. APIC makes no representation that the careers.apic.org web site or sites that may be linked to it are free of error. You must evaluate and bear all risks associated with the use of this site and any content contained on the site, including any reliance on accuracy, completeness or usefulness of such content. You understand that APIC is not for any reason responsible for any error in the transmission of information which you post on this site. By using this site, you acknowledge that there are inherent risks, including without limitation the risk of violence, personal injury or other physical harm, when transacting business with persons unknown to you. You also acknowledge that APIC does not verify the identity of any individuals posting their own content on the site and that they may not be who they purport to be or may otherwise be acting under false pretense. User content may also be inaccurate, harmful, offensive or in violation of policies governing user content set forth in these terms and conditions. It may also be deceptively labeled. 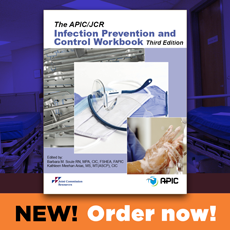 Each user agrees that it is the user's own responsibility to exercise caution and to act prudently when using the facilities provided by the careers.apic.org website. Companies listing employment opportunities are solely responsible to assure that the content of their advertising is true and accurate and conforms to all applicable laws, standards and regulations and that the listing company has all necessary authorization for the placement of the entire content of its advertising within the site. APIC is not liable to any candidates for any failure by any company to comply with this obligation. APIC shall, under no circumstances, be liable for any direct, indirect, incidental, special, punitive or consequential damages that may result from the use of this site, including, without limitation, use or reliance upon any information contained on this site, interruptions, errors, defects, omissions non-delivery of information, disclosure of communications or any other failure of performance of any kind. You agree to release APIC, its members, directors, and employees from all claims, causes of action, lawsuits, liability, damages or other responsibility, known and unknown, anticipated or unanticipated, from the beginning of time until the present, arising out of your use of any APIC website or the content contained therein. If you are a resident of California, you hereby agree to waive section 1542 of the California Civil Code which provides as follows: "A general release does not extend to claims which the creditor does not know or suspect to exist in his favor at the time of executing the release, which if known by him must have materially affected his settlement with the debtor." You agree to indemnify APIC, its members, directors, and employees and hold them harmless from any cost, claim, liability or expenses (including reasonable attorneys' fees and related costs) arising out of or relating in any manner to your (i) violation of this agreement or (ii) use of the careers.apic.org web site. APIC may modify these conditions, and your use of the careers.apic.org site after APIC publishes changes to these conditions and your use of this site thereafter means you accept the revised conditions. APIC does not represent that the content of any of its websites may be lawfully accessed from countries outside the United States or by foreign nationals wherever located. Access to the content of APIC's websites may be illegal when accessed by certain persons or in certain countries. If you access these sites outside the United States or if you are a foreign national, you access these sites at your own risk and you are solely responsible for compliance with the laws of any other countries that might be applicable to you. These conditions shall be governed by and in accordance with laws of Maryland. You agree that any action at law or in equity arising out of or relating in any manner to the careers.apic.org web site or these conditions shall be filed only in the courts located in Maryland and that you submit to the exclusive personal jurisdiction of such courts for all purposes hereunder. This agreement represents the entire agreement between us relating to the subject matter of the foregoing and cannot be modified except as provided for hereinabove or in a writing signed by an authorized representative of APIC.